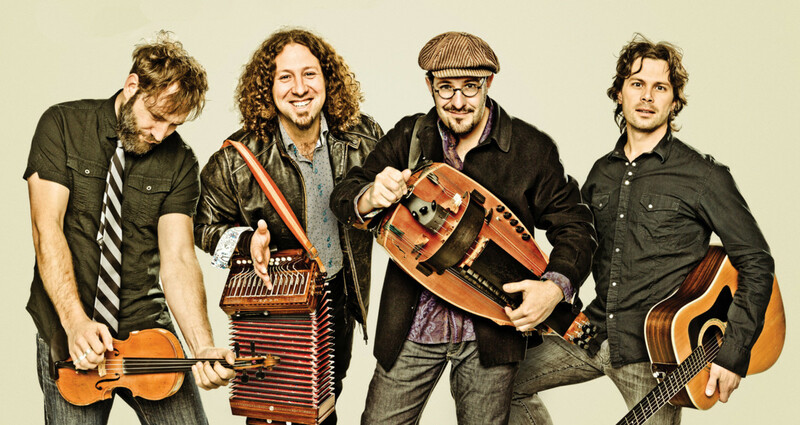 The award winning and highly acclaimed band Le Vent du Nord is a leading force in Quebec’s progressive francophone folk movement. The group’s vast repertoire draws from both traditional sources and original compositions, while enhancing its hard-driving soulful music (rooted in the Celtic diaspora) with a broad range of global influences.”Featuring button accordion, guitar and fiddle, the band’s sound is defined by the hurdy-gurdy, which adds an earthy, rough-hewn flavor to even the most buoyant dance tunes”says the Boston Herald. Since its inception in August 2002, Le Vent du Nord has enjoyed meteoric success, performing well over 1,800 concerts over 5 continents and racking up several prestigious awards, including a Grand Prix du Disque Charles Cros, two Junos (Canada’s Grammys), a Félix at ADISQ, a Canadian Folk Music Award, and “Artist of the Year” at the North American Folk Alliance Annual Gala. Advance discounted tickets $25 available from the box office, regular tickets $30 online and day of performance.